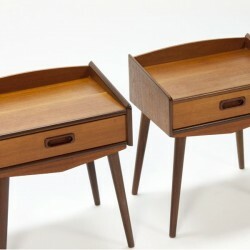 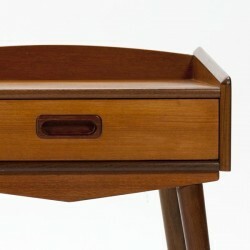 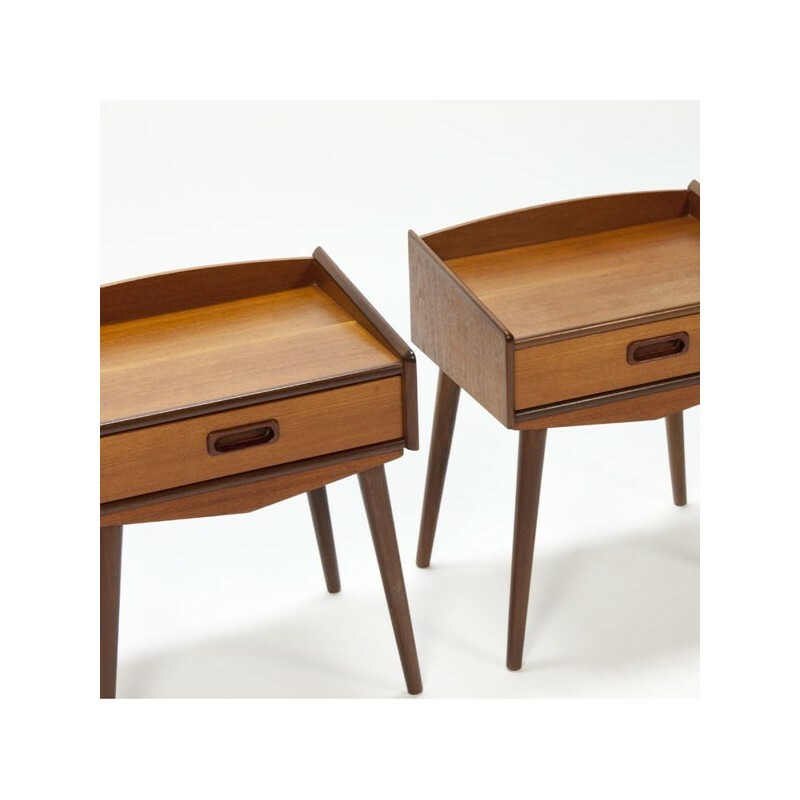 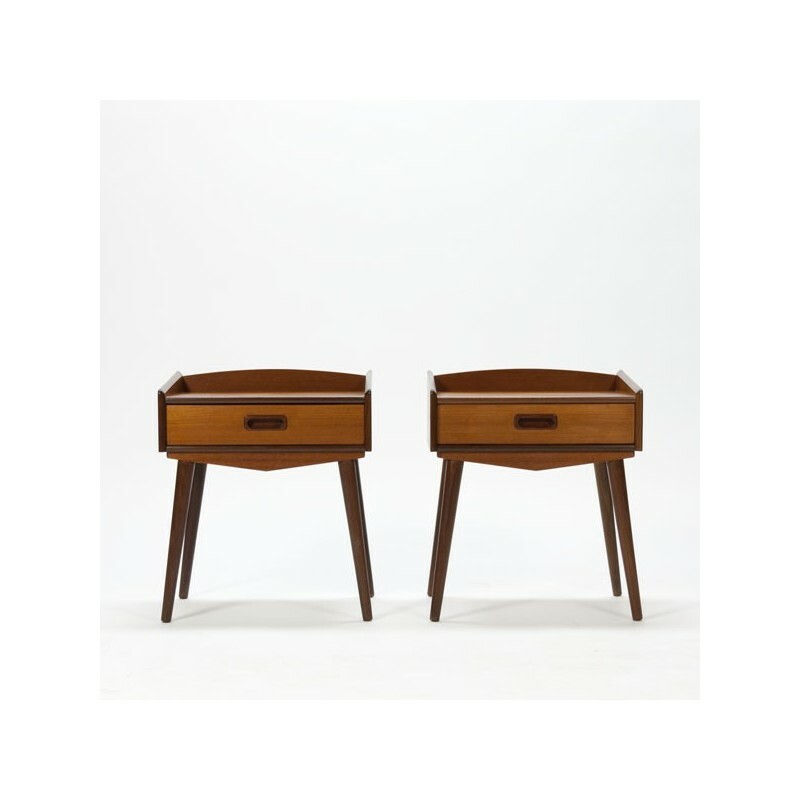 Set of 2 vintage bedside tables made ​​of teak. 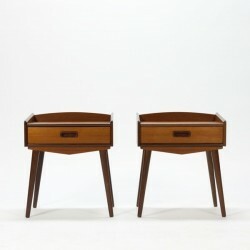 The cabinets stands on high legs and each have a drawer. The condition is good considering the age, see the detailed pictures. 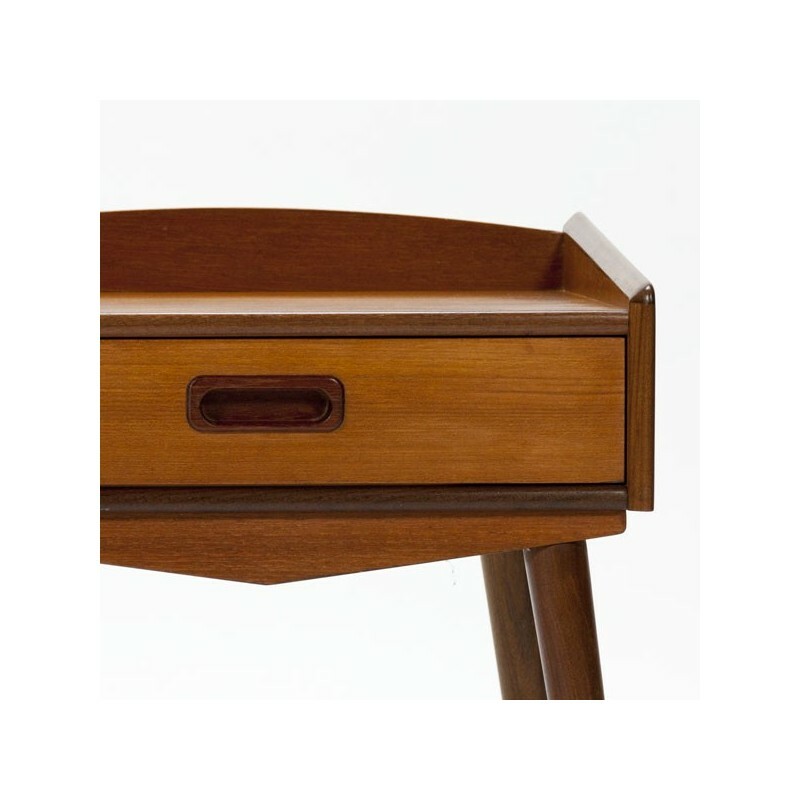 The size is 40 cm L / 28 cm W/ 47 cm H.